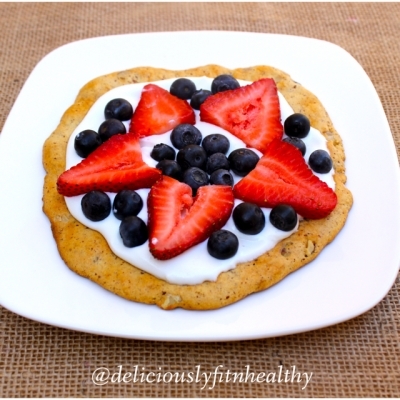 Personalized Vanilla Berry fruit pizza! 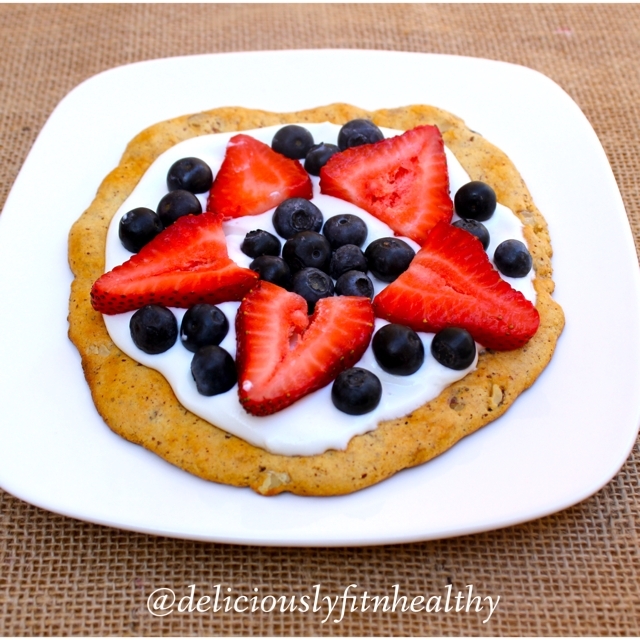 Full of protein and only 4 ingredients! Microwave bar for 15 seconds and then flatten out in a circle with a rolling pin on a sprayed cookie sheet in a circle. Bake at 325 for about 5-6 min until edges are golden . Mix whipped cottage cheese or Greek yogurt with vanilla creme stevia drops. Spread over top quest bar crust! Top with berries and enjoy! !